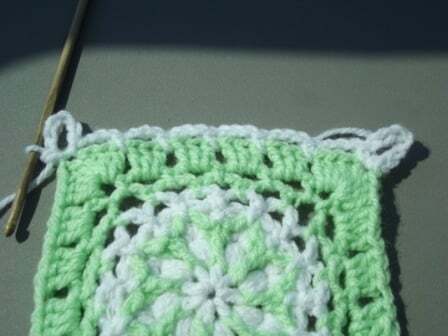 There are many ways to joining crochet squares, but the flat braid method has become one of my favorites over the years. Not only is it beautiful when done, but it is also fun to do. I actually enjoy saving all my squares to the end and then join the squares in several sittings. The only downfall of the crochet flat braid joining method is that I find it quite time consuming, but that might be because it forces me to hold my hook differently than what I’m used to. But to me it’s all worth it when complete. 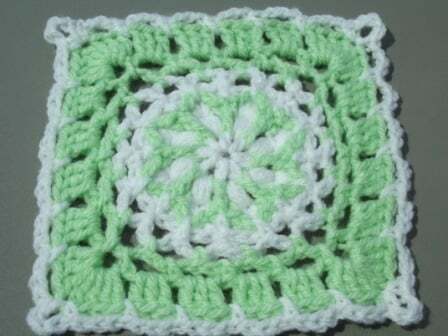 The join can be used on any sized granny or afghan square. It will also work with a variety of stitches. Also, I’m sure this join would look lovely if incorporated into crocheted tops and other crochet patterns as well. 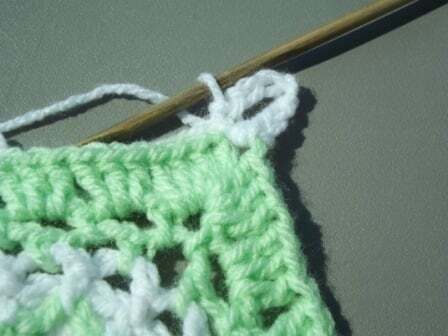 To make the join you simple work a round of loops around your first square. The rest of the squares are then joined to the first by ‘interlacing’ the loops as you go. This is a general tutorial, meaning that the flat braid method might vary from pattern to pattern. However, the concept of the join remains the same regardless of the pattern or the squares you want to join. 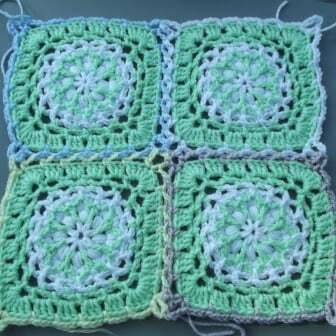 For the first square you basically crochet loops all around the square. I crocheted chain-3 loops along the sides and made chain-5 loops in the corner. My corners always come out rounded in my designs, so I need those extra 2 chains in the corner. For this tutorial I joined the yarn to a corner. Always check the pattern as some might ask you to join along the side of the square. You could probably make any number of chains, but I chose to make a chain-5 loop in the corner. (Sc, ch 5, sc) into the corner stitch, space, or loop. Once again, you could probably make any number of chains and skip any number of stitches, but in this case I made a chain-3 and skipped 3 stitches. Then I single crocheted into the space before the next set of 3 double crochet stitches. 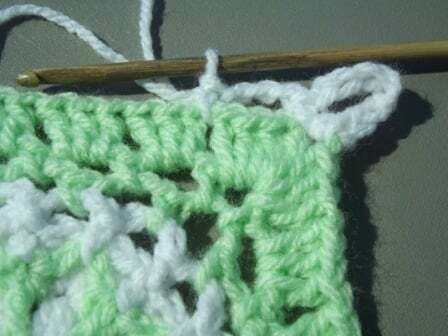 Ch 3, sk next 3 sts, sc in sp before next st.
Continue to crochet around the square following the pattern by making chain-3 loops along the sides and a chain-5 loop in each corner. 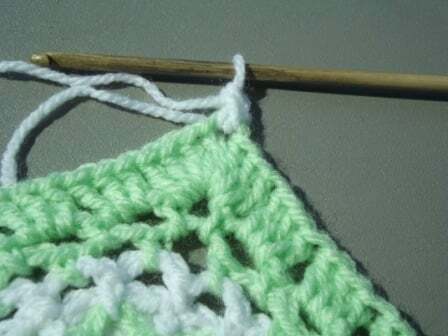 Join the round with a slip stitch to the first single crochet and fasten off.